The Library will be closed Friday, April 19th in observance of Good Friday! Come by and "check-out" our new releases for the month of April! "A Dog's Way Home"; "The Mule"; "Bumblebee"; "Aquaman"; "Spiderman: Into the Spider-Verse"; "Second Act" ; "Mary Poppins Returns"
REMINDER: YOGA WITH RAQUEL JACKSON THURSDAY, APRIL 4TH, 11TH, 18TH & 25TH @ 1-2 PM. **Please CALL 334-693-2706 if you would like to sign up and for more details. **This class is tailored to all levels, especially beginners! **Please bring your mat, water bottle, and face towel. Reminder: The Rowdy Readers will be meeting Thursday, April 4th @ 10:00 to discuss "Her One Mistake" by Heidi Perks. Looking forward to seeing everyone! It's That Time Again...LEGO CLUB!! Monday, April 1st @ 5:00-6:00 pm. "Check-out" these new arrivals for the month of March. Call or come by to reserve your favorite picks! Missed out on the Books and Brunch? No worries! We have the books from the authors available for check out! Don't forget to stop by and take a look at our "Book Sale" shelf!! The books are rotated on a regular basis so there is always a great selection to choose from! We now have available the Federal 1040 Instruction Booklets & the 1040 Tax Forms, FREE to the public. We expect to have the State Tax Forms around March 8th...this is due to a delay with the State of Alabama. Read MAGAZINES for Free from a Phone or Tablet through Blanche R. Solomon Public Library's website. This week digital magazines have been added to the collection. With a LIBRARY CARD, members of the community can borrow from the digital collection for free anytime, anywhere. To begin reading, visit https://camellia.overdrive.com or download Libby, the award winning one-tap reading app. All magazines are available with no limit. No waiting. No holds. Digital magazines do NOT count toward check-out limits. If you are new to computers, haven't used them for a while, are a little unsure and uncomfortable, or just need a bit of a refresher, DigitalLearn.org has the tools to help you tackle technology at your own pace and gain the confidence you need to succeed. This educational resouce can be accessed through this webpage under the tab, "Additional Useful Sites". 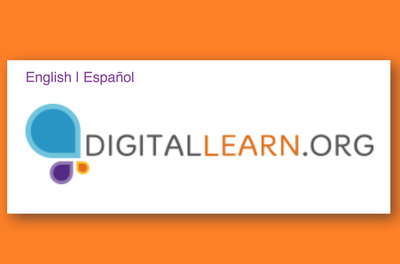 ** DigitalLearn.org is not for home use. To access this database, you will need to use the computers at our Library. Looking forward to seeing you! Reminder: These are instructional videos, so will need to bring own set of ear-buds!! **ABCMouse Library Edition is not for home use. To access this database, you will need to use the computers at our Library. Looking forward to seeing you! We are so excited about this new site we are introducing to the Library: Chilton Repair! You can access this site thru this webpage under the tab, Additional Useful Sites. Find step-by-step auto repair instructions, maintenance schedules, recalls, diagrams and more. Search by specific year, make and model. View...it's just that simple! eBooks Have Arrived at Blanche R. Solomon Memorial Library! Be sure to check out our eBooks!!! Visit Camellia Overdrive to view the selection of books, audiobooks, music, and video available for the Headland Public Library! Everything is free of charge and different formats include iPad, iPhone, Kindle, Nook, PC, Mac, and all Android devices. Click here for more information and help with eBooks.